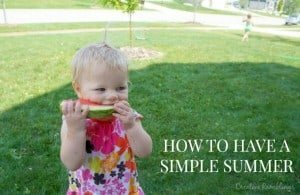 Time for another Dollar store craft and this month I am sharing a painted door mat perfect for summer. Check out this project and more from some of my very crafty friends. I was browsing the aisles of my favorite Dollar Tree and came across a stack of carpets/door mats. I scooped one up to try my hand at a painted door mat for summer. We have a walkout basement and in the warmer months the kids are in and out of that door all day long. This will help keep some of the mud and water at bay and look cute while doing so. This was such an easy project to make. It could be done freehand with just a brush and some craft paint, but I chose to use my Silhouette and make stencils. 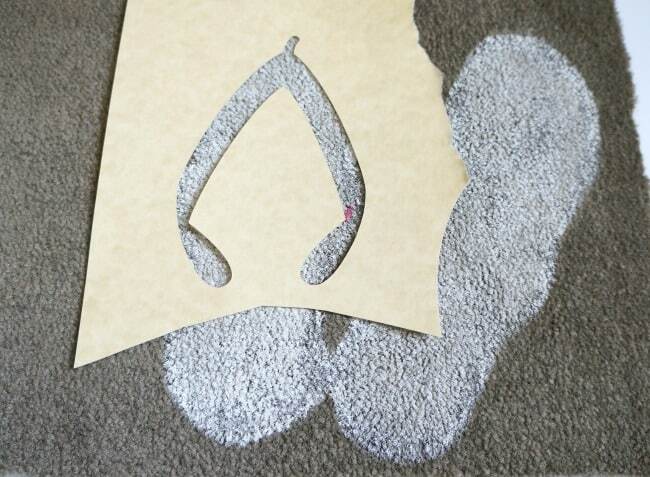 I cut out flip flop stencils and used chalk to outline them on the door mat. 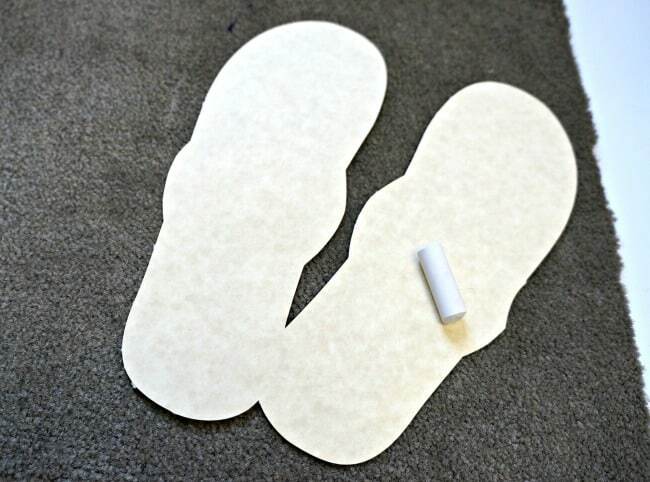 Then I painted the base of the flip flops using white paint. 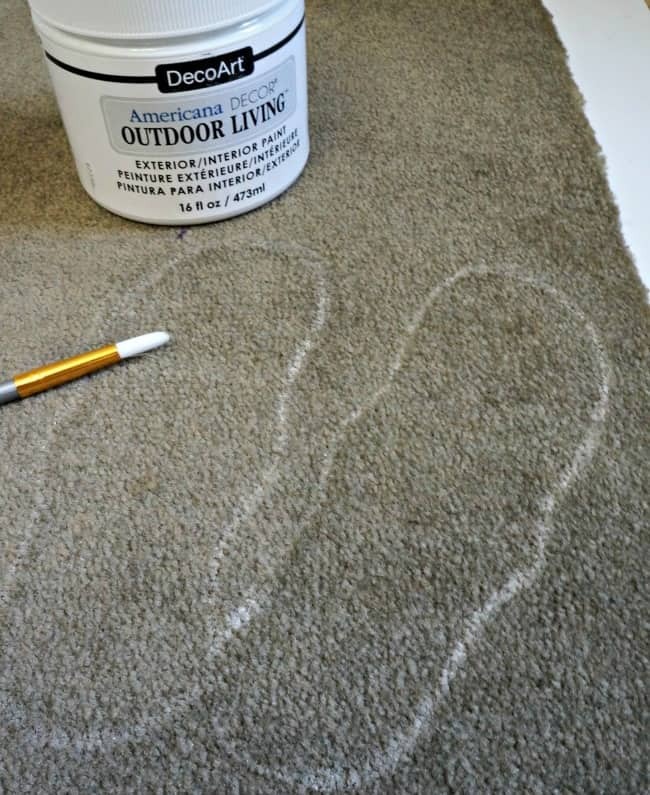 I had to use a firm bristled brush for most of it to really get the paint down into the fibers, for the outline I used a thin brush. 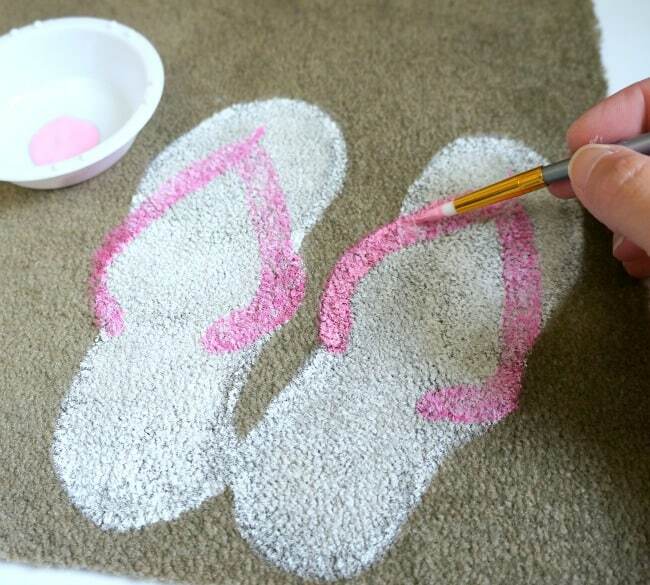 When that dried I stenciled the top of the flip flops in pink using the same method. I used the same technique to add “relax” to the door mat. I outlined it in chalk then used a stiff brush to fill in the letters with pink paint. 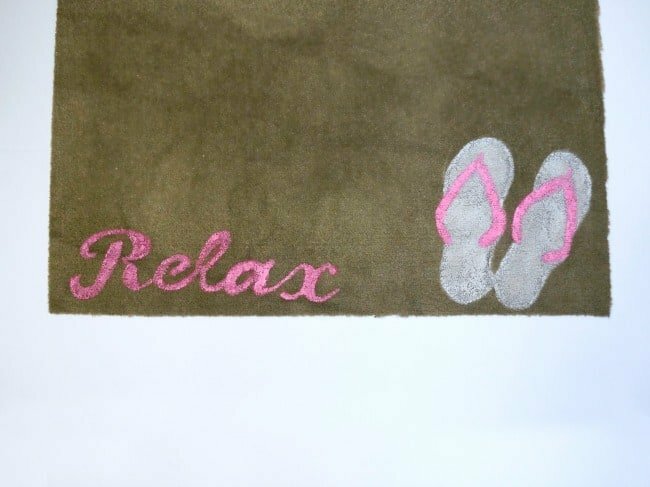 This door mat will be on the inside of our basement door, encouraging us to head outside and relax this summer. Well at least the adults, my kids seem to get more energy the second they breathe in fresh air. 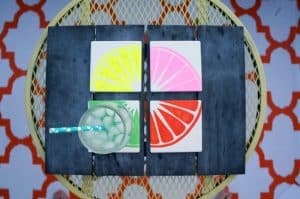 Now check out these amazing Summer Dollar store projects from some very talented blogger friends of mine. You’re right! Cute and functional! I need to figure out a rug or mat situation for our backdoor leading out to the deck. The boys are ALWAYS tracking in dirt and grime on their shoes! Adorable, Sarah!